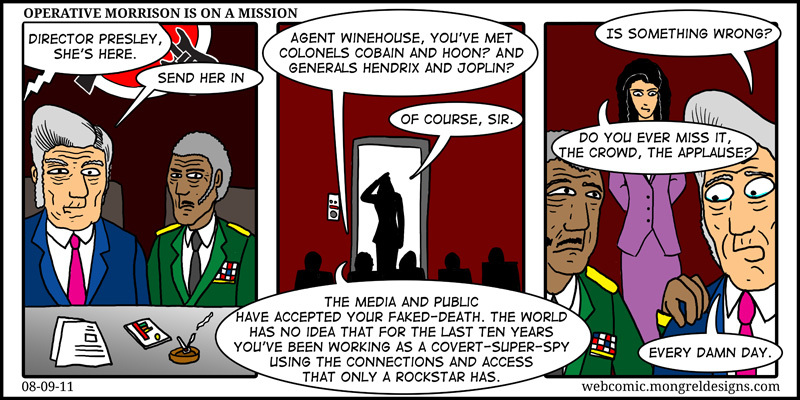 Mongrel Designs Webcomic: Webcomic 28: Buddy Holly is a Super Villain. Webcomic 28: Buddy Holly is a Super Villain. I was listening to the radio and got sad. Not that I'm a big Amy Winehouse fan, mind you. Rock on. Loving the comics. Keep it up! Hey thanks. I will try to keep them comin'.